Our Guru, Paramahansa Yogananda, has told us in his Autobiography of the many times when he went on pilgrimage throughout India and far-off lands. One of the most memorable was his pilgrimage to Palestine. In his autobiography we read, “We took ship over the sunny Mediterranean, disembarking at Palestine. Wandering day after day over the Holy Land, I was more than ever convinced of the value of pilgrimage. The spirit of Christ is all-pervasive in Palestine; I walked reverently by his side at Bethlehem, Gethsemane, Calvary, the holy Mount of Olives, by the River Jordan and the Sea of Galilee. Our little party visited the Birth Manger, Joseph’s carpenter shop, the tomb of Lazarus, the house of Martha and Mary, the hall of the Last Supper. Antiquity unfolded; scene by scene, I saw the divine drama that Christ once played for the ages.” Why did our Guru go to these pilgrimage spots? What motivated him? – He went there because the Lord Jesus and other saints had sanctified and blessed the very soil upon which they lived. He also knew that whomever comes to these pilgrimage spots receives a divine blessing. 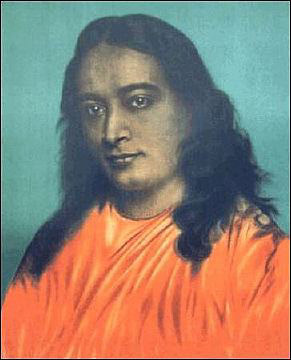 Present-day devotees of Paramahansa Yogananda also know of the blessings of pilgrimage. 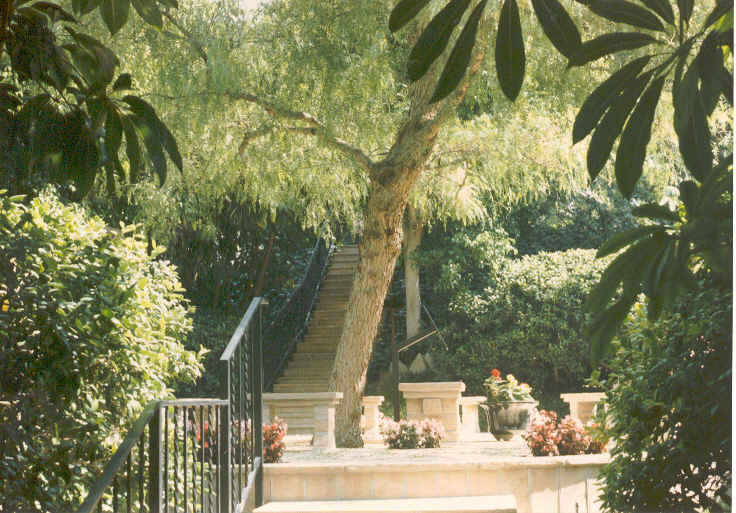 Merely to enter the Self-Realization Fellowship grounds at Mt. Washington, and Lake Shrine, and Encinitas, as well as numerous other SRF pilgrimage spots is to feel the spiritual power and blessings of God and Guru. “The vibrations of great saints and divine souls remain where they once stayed,” Yoganandaji said. “Wherever they meditate, they leave a permanent impression of their exemplary lives and God-communion, and all receptive souls may feel those vibrations and behold their presence. That is why it is a great blessing to go to such places. 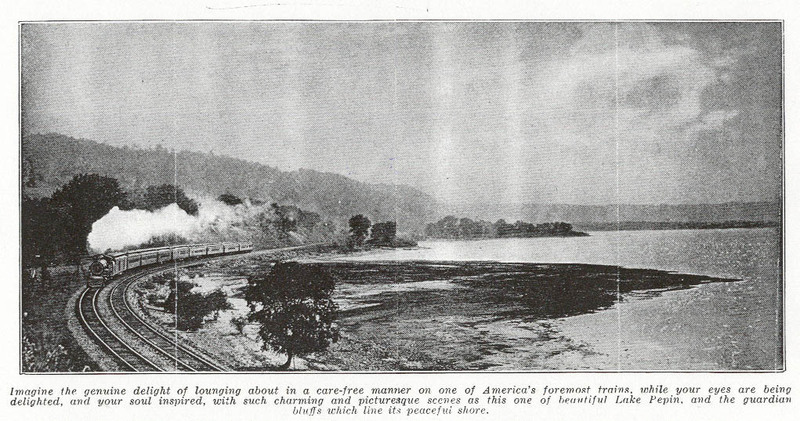 Early in September 1927, Paramahansa Yogananda, known as Swami Yogananda at the time, traveled on “The Burlington” train up the Mississippi River to Minneapolis. 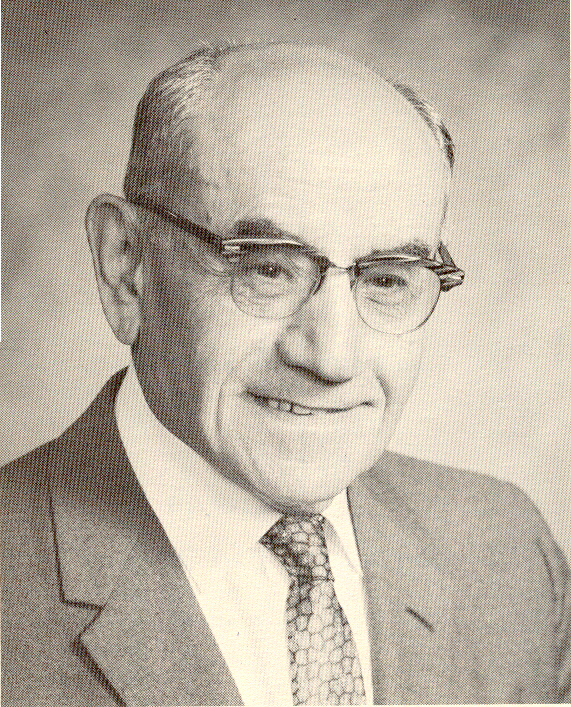 He had departed Los Angeles on August 3rd with the primary purpose of lecturing and giving classes in Minneapolis-St. Paul and had just finished making brief visits to his “Yogoda” Centers in Pittsburgh and Cleveland before traveling here. 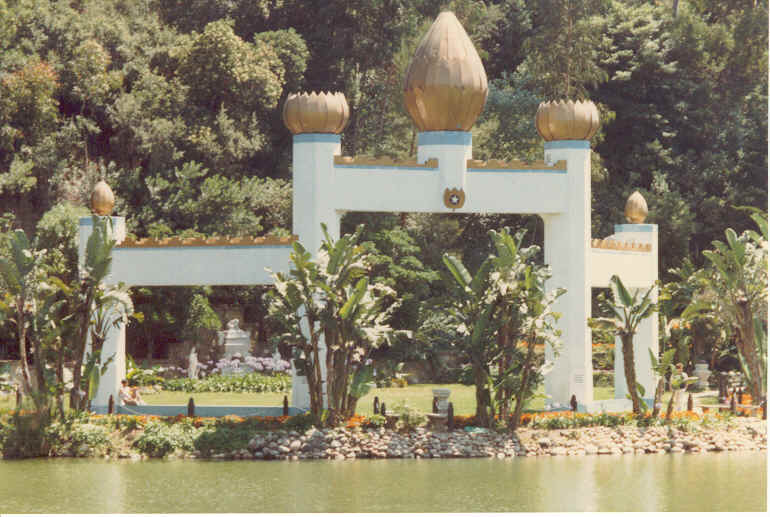 [Yogoda was the term Swami Yogananda used at this time in reference to the spiritual teachings from India that are today known as the Self-Realization Fellowship lessons.] 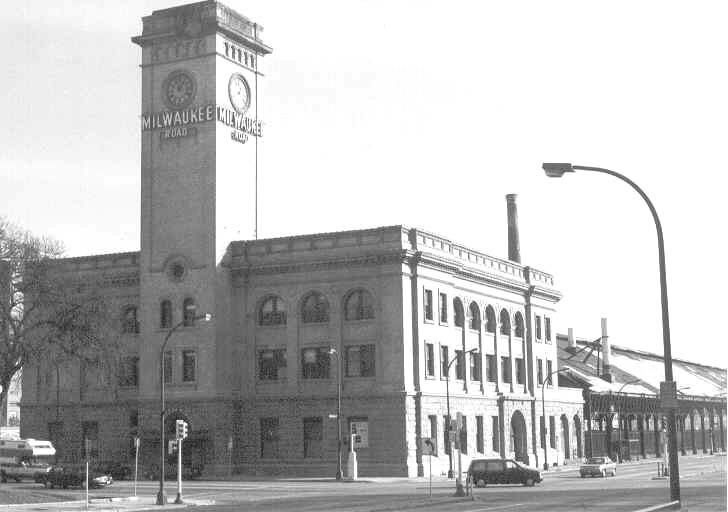 His arrival at the Milwaukee Railroad Depot in Minneapolis at 8:55 a.m. on Tuesday September 13th was announced in the Minneapolis Daily Star newspaper. 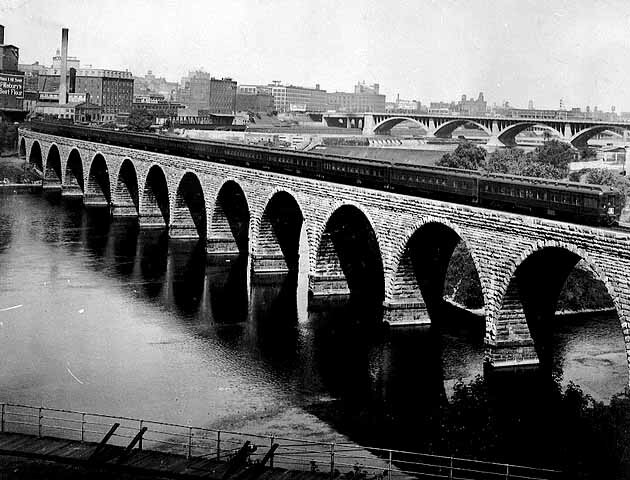 As his train crossed the Mississippi River in Minneapolis one can imagine that a good-sized crowd awaited the Swami. 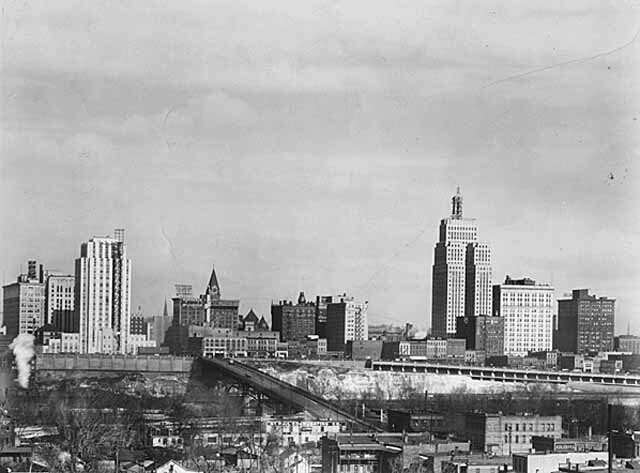 Minneapolis in 1927 was a growing, thriving city ready for the Yoga teachings of the East. 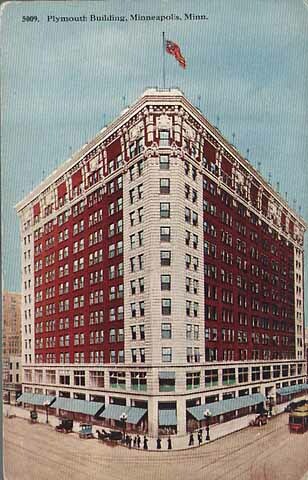 Yoganandaji had a busy schedule ahead of him that began the day after his arrival when he spoke to the Lions Club at the Hotel Radisson in Minneapolis on the subject of “India.” During September – October, 1927 Yoganandaji stayed at this hotel, which was located on 7th Street west of Nicollet Avenue, and is the site of the present-day Radisson. He became close friends with the Hotel’s owner, Mrs. Simon Kruse, who held a reception in his honor here sometime during his stay. About 50 guests attended a “tea” in her apartment. 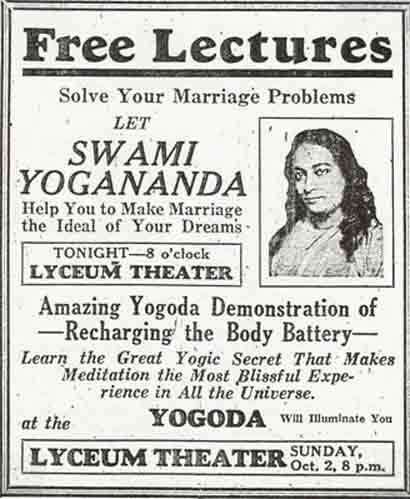 Swami Yogananda conducted at least 17 free public lectures in Minneapolis at the Lyceum Theater from September 18th through October 23rd. 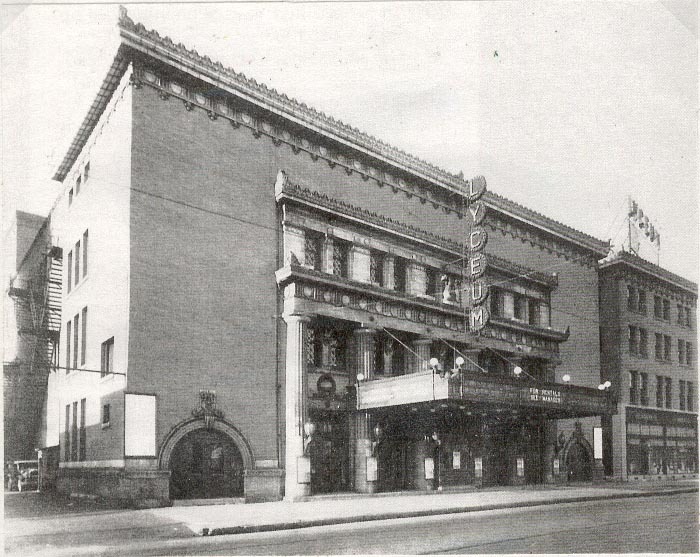 The Lyceum Theater was located between Nicollet and Marquette Avenues on 11th Street, which is the site of present-day Orchestra Hall. 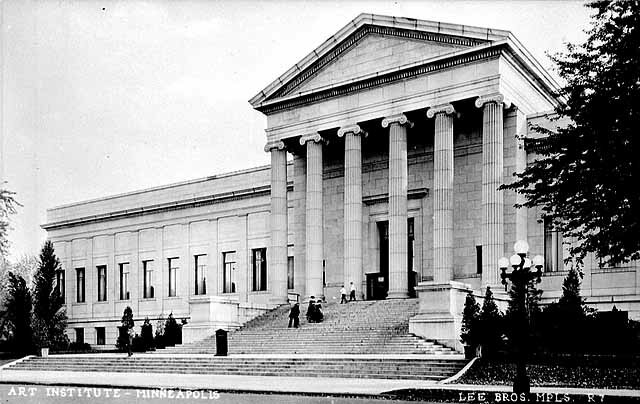 Built in 1905, the Lyceum was a large 2,200–seat auditorium with a beautiful stage suitable for “grand opera and big orchestral concerts.” In 1927 the Lyceum was the home of the Minneapolis Symphony Orchestra, which is pictured here. 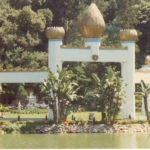 This is the very stage upon which Yoganandaji gave his stirring lectures on Yoga and the wisdom of the Masters of India. It is very likely that many posters similar to this one were displayed not only on the outside of the Lyceum Theater but also throughout Minneapolis and St. Paul during his lecture series. Numerous ads were placed in the “Amusements” section of the Minneapolis Daily Star newspaper advertising his lectures. Before Yoganandaji’s first lecture a Mpls. Daily Star ad stated, “He comes a stranger. 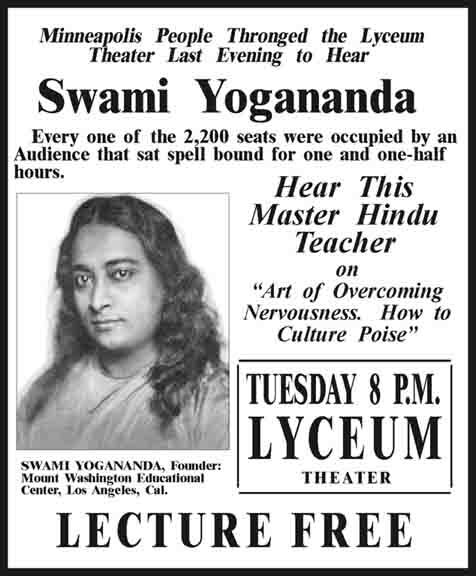 He will depart a friend.” The day after his first lecture on September 17th another ad stated, “Minneapolis people thronged the Lyceum Theater last evening to hear Swami Yogananda. 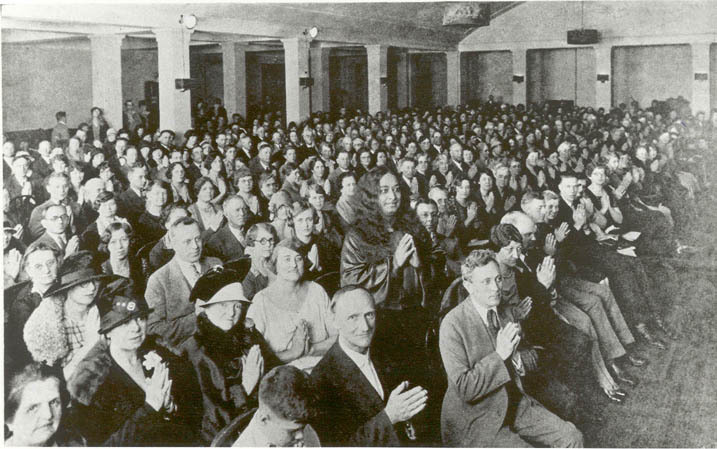 Every one of the 2,200 seats were occupied by an audience that sat spell bound for one and one-half hours.” Other Minneapolis Daily Star newspaper articles proclaimed, “Unnumbered thousands have found new hope, health and happiness in Swami Yogananda’s inspiring “Scientific Spiritual Healing.” Come and bring your sick friends and receive the priceless gift of his illuminating wisdom” and an October 1st adstated “Learn the great Yogic secret that makes meditation the most blissful experience in all the universe.” The titles of some of his lectures were: “Everlasting youth,” “Art of overcoming nervousness. How to culture poise,” “Vibratory healing by Christ power, holy ghost, Yogic chants,” “Solve your marriage problems,” “What is super love? 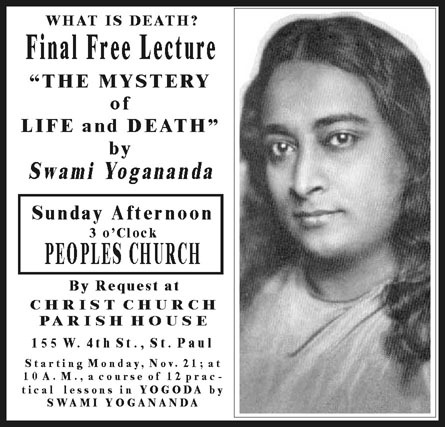 Great revelation for beautifying body and mind,” “Jesus Christ and the Yogi of India and the modern Christian,” and his final lecture in Minneapolis was on “The mystery of life and death.” Yoganandaji’s lectures typically included an excellent musical program for entertainment by the Florence E. Reinmuth Trio. 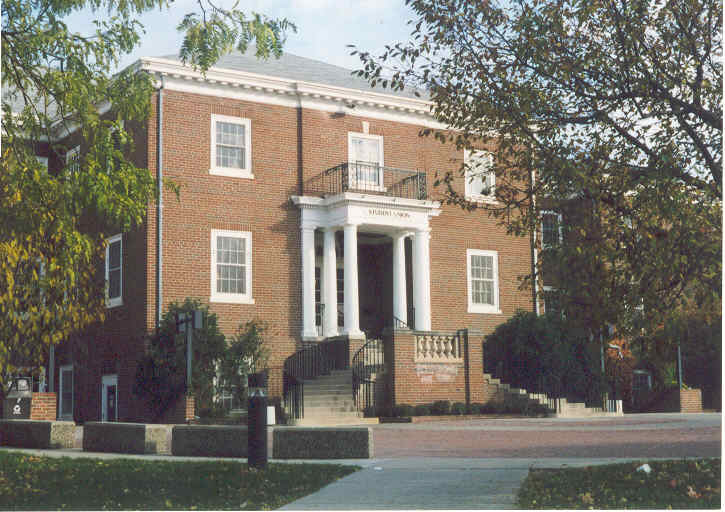 The Milch Sisters’ Trio, Madam William A. Bessesen, and Mrs. James Bliss also performed musically at the lectures. The Minneapolis lectures were a tremendous success and word was sent back to Mother Center in California. 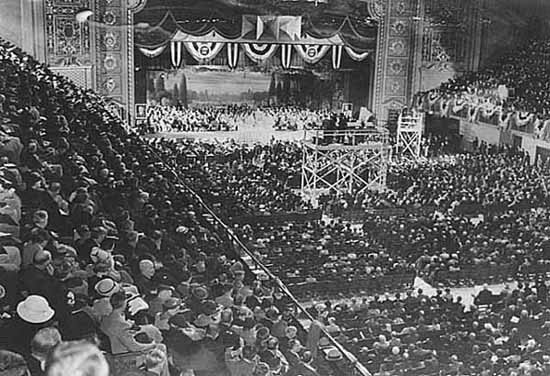 A headline in the November-December 1927 issue of East-West Magazine said, “SUCCESS IN MINNEAPOLIS.” In this article it states that audiences of several thousand people attended his lectures each night. 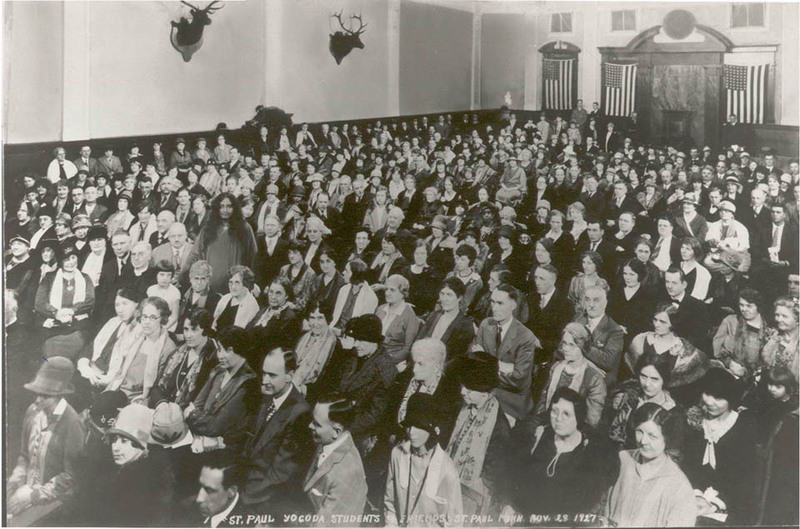 From October 25th through the 31st Swami Yogananda taught his “Advanced Course on Practical Metaphysics” at theFormer Woman’s Assembly (or Women’s Club) located at 1526 Harmon Place. We understand that these were his Kriya Yoga classes. The Woman’s Club “Assembly” was the name given to the relatively large auditorium visible behind and to the left of the main building. 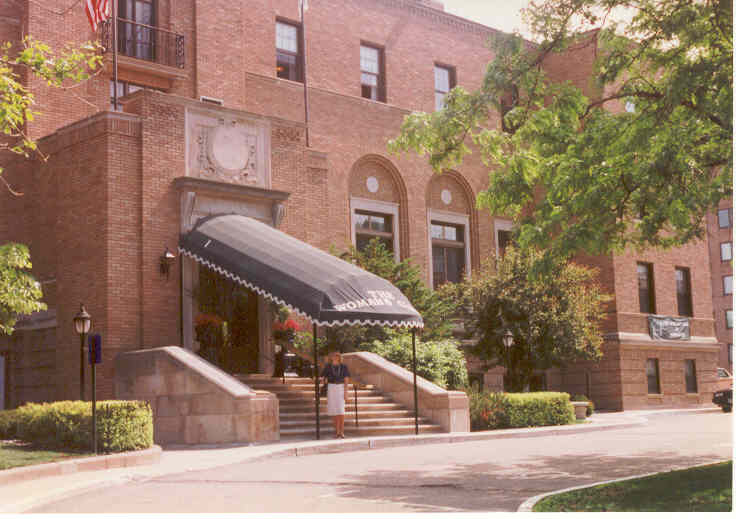 When we first began researching the activities of Swami Yogananda in Minneapolis during 1927 we thought that he might have given this course at the current Woman’s Club, which was the site of SRF Lecture Tours in 1998 and 2002. 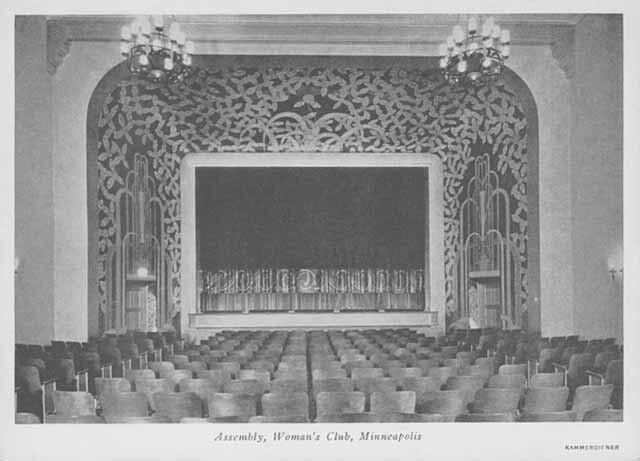 We originally were lead to think this because the original auditorium at the current Woman’s Club was also called the “Assembly” when it was constructed. 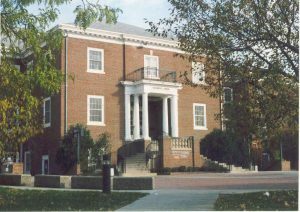 Upon further investigation, however, we learned that construction of the current Woman’s Club was not completed until late in 1927. Thus, it was in the Former Woman’s Assembly where our Guru gave his Kriya course. 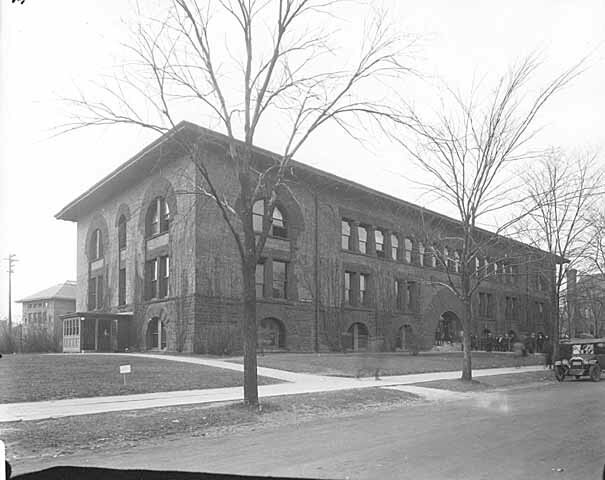 This building was torn down some years later and currently is the site of the Minneapolis Community & Technical College, on the north side of Loring Park. 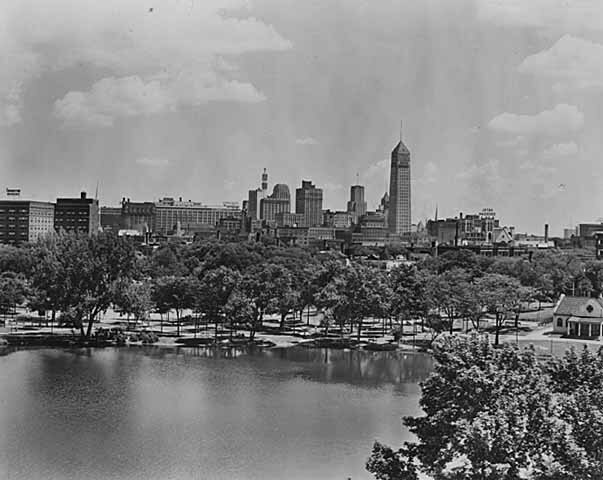 Here is how the Minneapolis skyline looked from Loring Park in 1927. 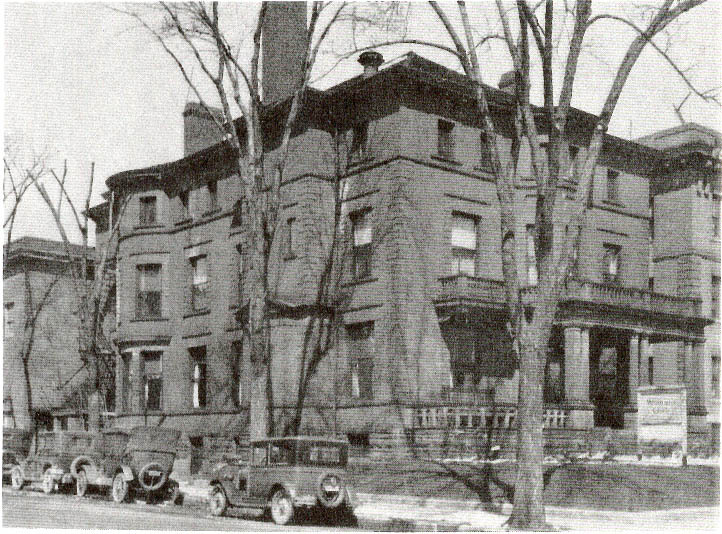 The former Woman’s Club is behind the trees on the left. 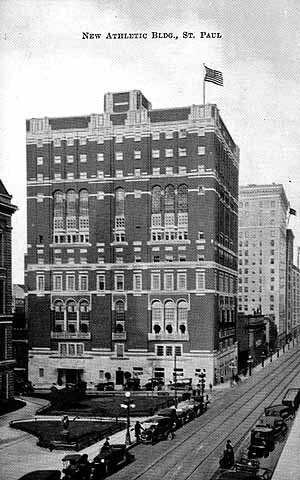 During his 1927 visit local devotees wishing to set up an appointment to meet with Swami Yogananda, or to enroll in one of his classes, could do so at his offices, which were located in rooms 606-610 of the Plymouth Building at 6thStreet and Hennepin Avenue. 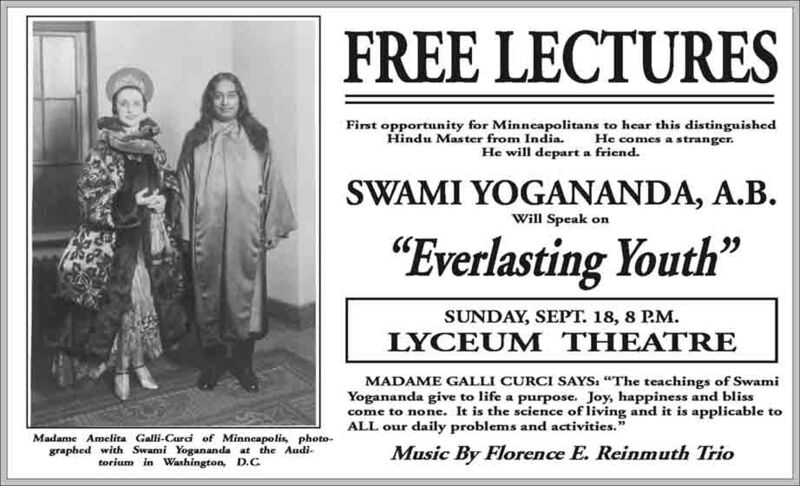 In addition to his public lectures and classes, Yoganandaji spoke to more than 20 clubs in Minneapolis on numerous different subjects, depending on his audience. For example, on September 19th he spoke before 200 members of the Kiwanis Club at the Nicollet Hotel, between Nicollet and Hennepin Avenues on Washington Ave., on the subject of “How to recharge business batteries.” At this talk he said, “Unnecessary necessities are objects of extreme luxury which degrade our taste and set bad examples and wrong desires in others. Necessary necessities are those that supply the needs of the body, mind, and soul – ranging from material articles of use, and books, to spiritual methods, making life permanently happy.” On September 27th he spoke to the Optimist Club at the Leamington Hotel, 10thStreet and 3rd Avenue South, on the subject of “How Oriental methods can help Occidental businessmen.” The next day on the 28th he spoke on the subject of “Art in India” at the Kappa Tau Alpha Tau chapter of the Delphians at the Minneapolis Institute of Arts, 2400 3rd Avenue South. 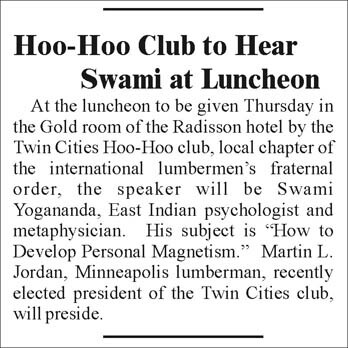 On October 6th he spoke to the Hoo Hoo’s Club on the subject of “How to Develop Personal Magnetism.” The Hoo Hoo’s Club was an international lumbermen’s fraternal organization; we don’t know how they selected this rather unique name. 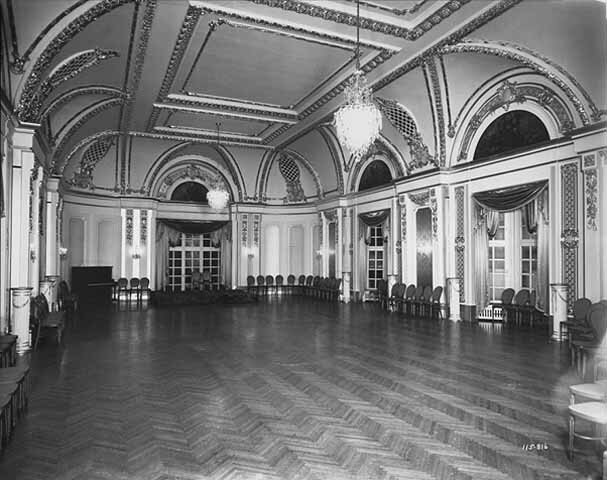 They met in the Gold Room of the Radisson Hotel. 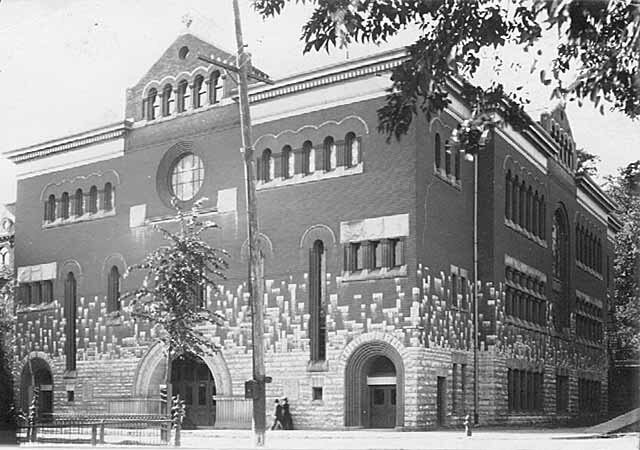 On October 13th he addressed a meeting of the Grafil Club in the Minneapolis YMCA with about 50 businessmen present. An article in the Minneapolis Daily Star newspaper announced this meeting. During his stay in Minneapolis Yoganandaji also spoke before much smaller gatherings at the homes of local devotees. For example, he spoke to a group interested in metaphysics at the home of Mrs. F.W. 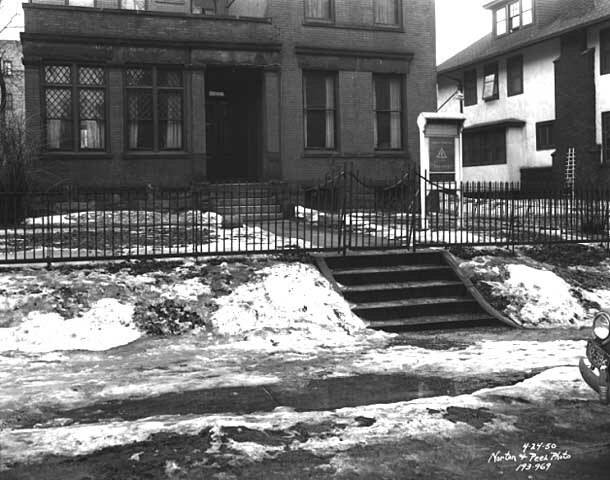 Cappelen at 2129 Girard Avenue South and also attended a reception in his honor at the home of Dr. and Mrs. K.R. 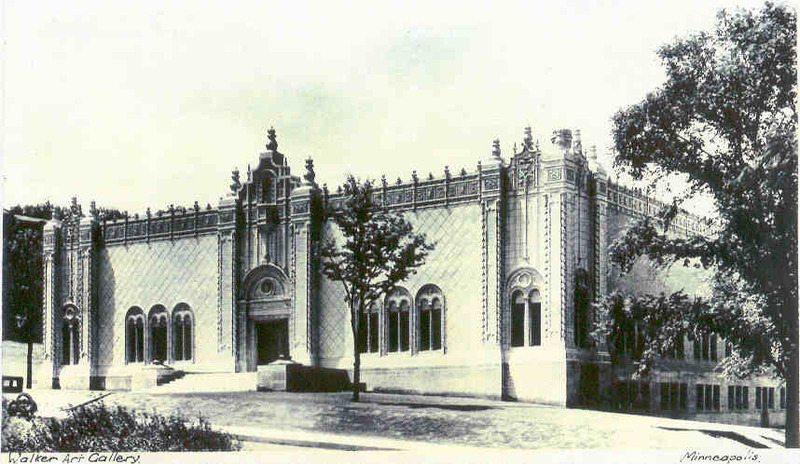 Egilsrud at 2200 Sheridan Avenue South. 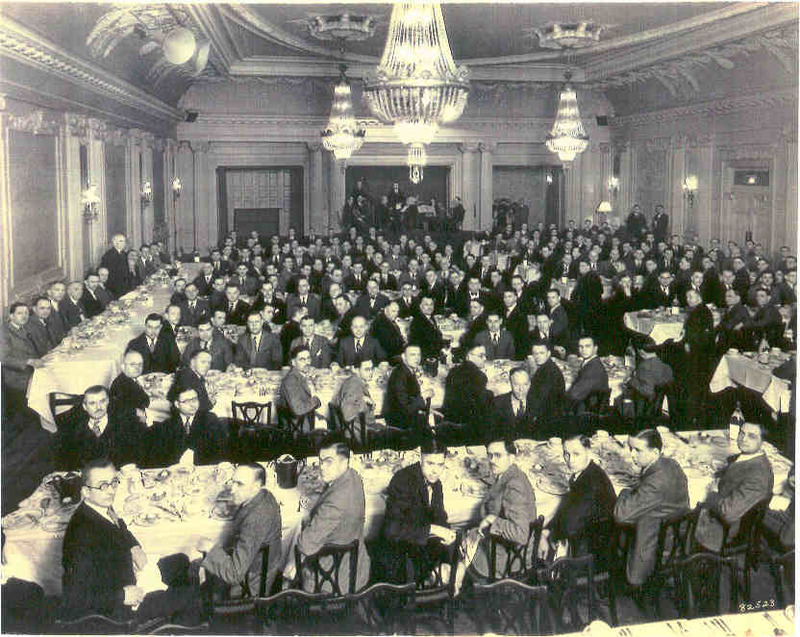 About 50 guests attended this gathering. On October 21st, he spoke to the Casseopia Club, which was a study club belonging to the 5th District of the Minnesota Federation of Women’s Club. 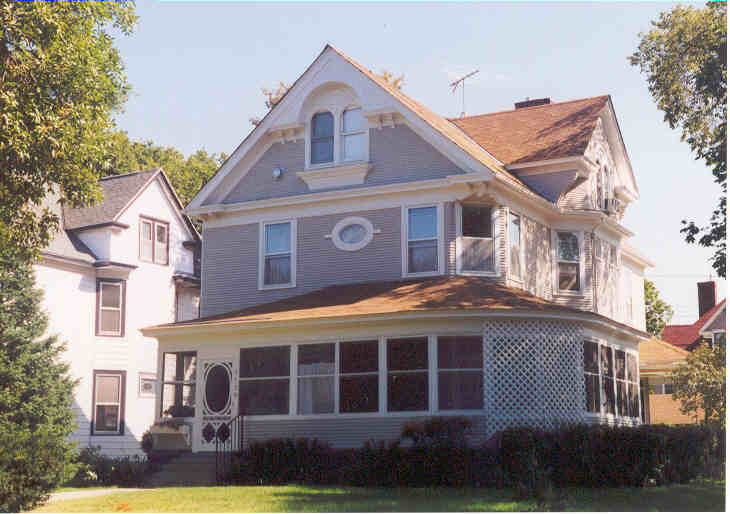 The meeting was held in the home of Mrs. Josephine Lucker, 2742 Girard Avenue South on the subject of “Literary Life in India.” This home was torn down some years ago so a picture is not available. 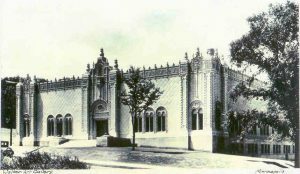 Madame Amelita Galli-Curci was a devoted disciple of Swami Yogananda who kept a home in St. Louis Park with her pianist husband Dr. Homer Samuels, a native of the area. 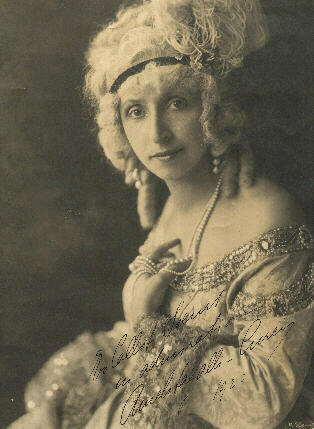 Galli-Curci was a world-renowned opera singer who sang to throngs in Minneapolis and numerous cities throughout the world. Yoganandaji called her the “Coloratura of Celestial Choice.” In the January 1946 issue of East-West Magazine Yoganandaji wrote, “I never liked Western songs when I first heard them, after arriving in America. But the first time I heard Galli-Curci sing, accompanied by the master pianist, Homer Samuels, I caught the universal appeal in her warbling. It reminded me of Radha (representing the feminine aspect of Nature) singing to her consort Krishna (representing the masculine Spirit). Galli-Curci sang from the soul to the ever-calling Spirit… Her voice will ever echo in the hearts of those who heard her, and forever reverberate in the hall of fame and in the souls of music-lovers of all nations. She has left lasting spiritual song-prints in her recordings, and music-lovers can follow these to the paradise of music of the Infinite Spheres… She and her husband, Homer Samuels, are the greatest lovers I have met in the West. Their love is beautiful because they practice these ideals of which I speak. When parted even for a short time, they eagerly look forward to seeing each other again, to being in each other’s company, to sharing their thoughts and love. They live for each other.” Galli-Curci paid tribute to her Guru in the following words quoted in a Minneapolis Daily Star advertisement, “The teachings of Swami Yogananda give to life a purpose. Joy, happiness and bliss come to one. 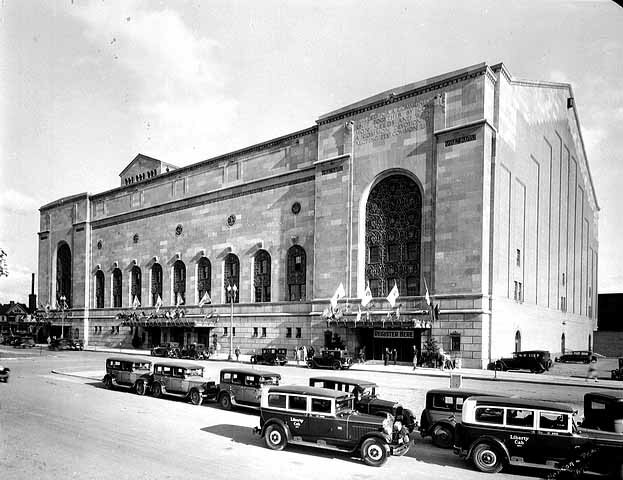 It is the science of living and it is applicable to All our daily problems and activities.” On November 2nd Galli-Curci gave a singing performance at the newly constructed Minneapolis Auditorium, located at Grant and 3rd Streets. Although there is no written record of our Guru attending this performance, it is most probable that he was there to hear his beloved disciple. 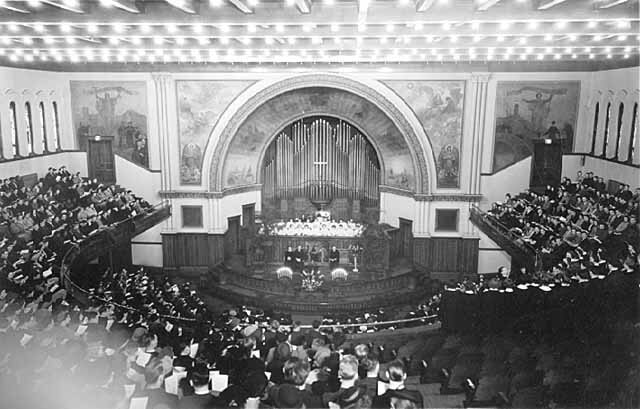 Here is a picture of the inside of the auditorium taken in 1936 giving us a glimpse of how it must have appeared during the Galli-Curci performance. 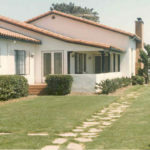 Yoganandaji visited Galli-Curci’s St. Louis Park home during one of his visits and greatly admired their dining room table and chairs, so much so that a similar set was installed at the Encinitas Hermitage. Our Guru honored Galli-Curci by asking her to write the Forward to his book “Whispers From Eternity,” first published in 1935, and mentions her in several of his writings. 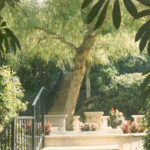 Galli-Curci retired in the La Jolla area of California in 1930 and lived there until her passing in 1963. In her retirement she turned to painting to express her creative spirit. “All art is one,” she said. It is interesting to note that Madame Galli-Curci was made an honorary member of the Woman’s Club in 1926. 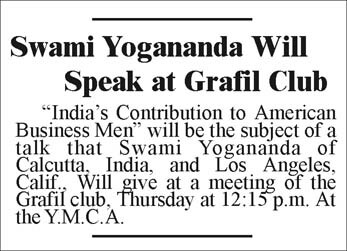 Thus, there were a couple of ties between our Guru, the Minneapolis Meditation Group, and the Woman’s Club. 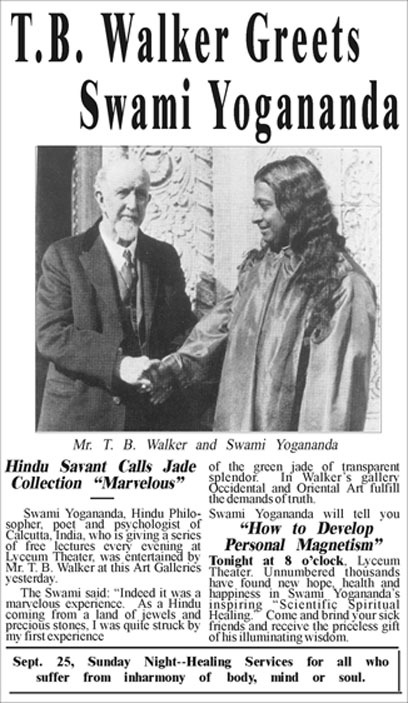 Swami Yogananda visited the homes of many local devotees. 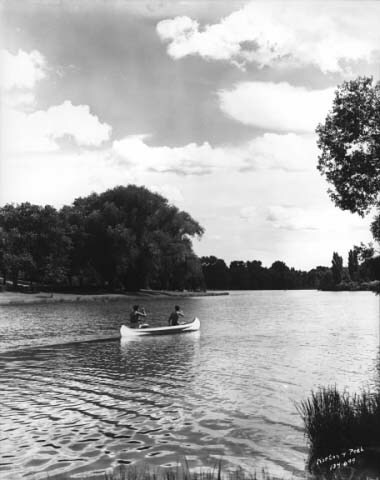 He stayed at 2201 East Lake of the Isles Blvd. 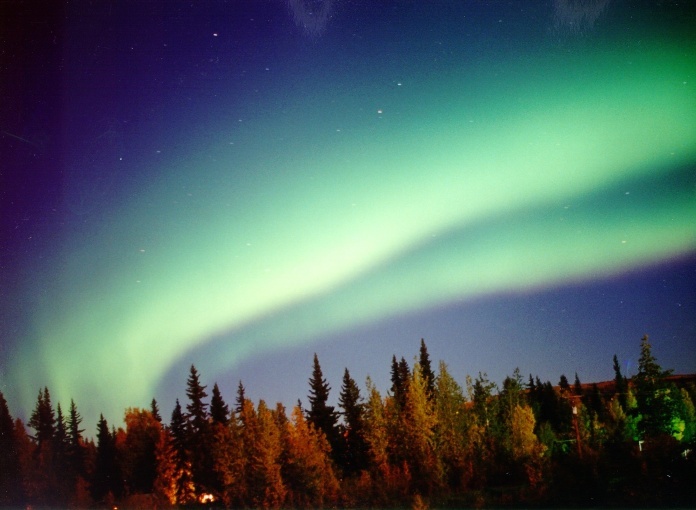 on at least one occasion, according to Dr. Aaron Friedell, a local devotee. 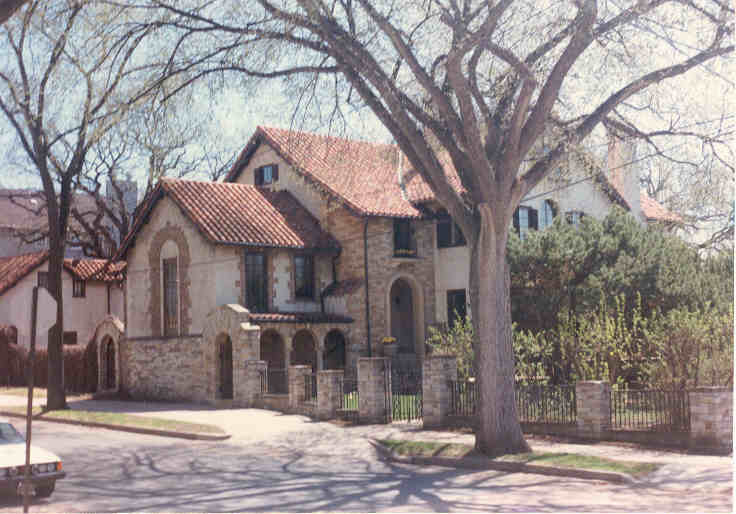 This was the home of Mrs. Elizabeth Backus, a devoted disciple of Yoganandaji and one of the early leaders of the Minneapolis Yogoda Center. 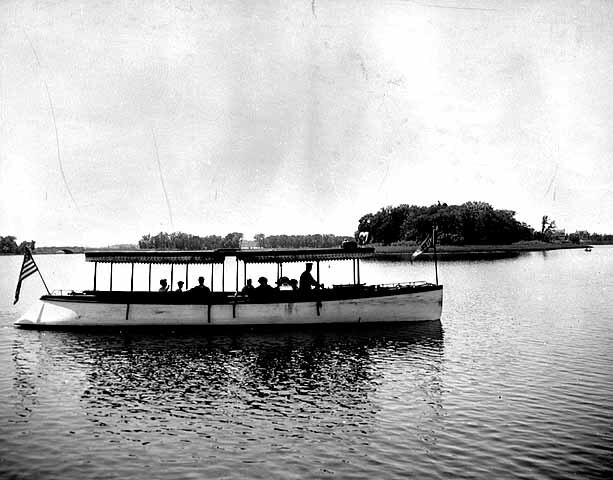 While staying at the Backus home he undoubtedly took many a stroll around beautiful Lake of the Isles or perhaps he took an excursion boat ride on the lake. 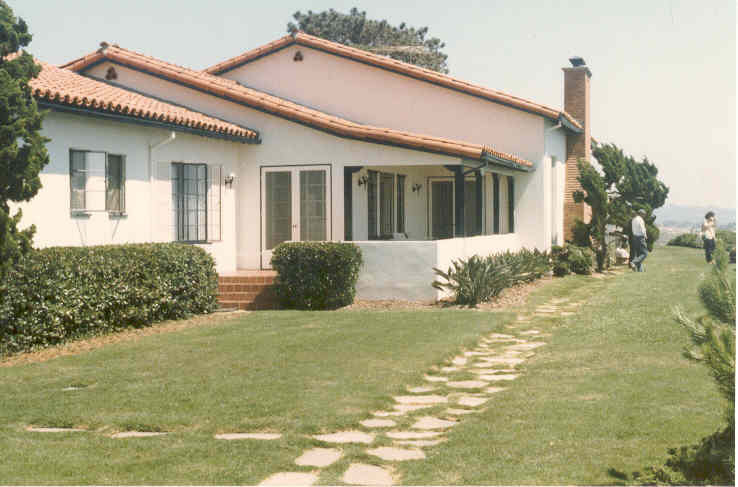 Mrs. Backus moved to the San Diego area in about 1940 to be closer to her Guru. It was at about that time that she donated a magnificent, large pipe organ valued at $23,000 to SRF that was installed in the Chapel at Mt. Washington. Audrey Patton, a local devotee who attended Swami Yogananda’s public lectures and attended Minneapolis Meditation Group Services in the 1970-80s. Here is a picture of Audrey taken in March, 1985. Audrey recalled that the Swami usually wore a dark blue suit underneath his robe. On stage the Guru was “very dynamic,” she said. “He spoke sincerely, with great emotion and energy, emanating health and vitality.” Audrey said that Yoganandaji “strode” across the stage, he didn’t walk. “One of the most dominant personality traits he exhibited during his lectures and classes,” she said, “was a wonderful sense of humor, just like in the Autobiography of a Yogi. He was a wonderfully easy person to talk to, sometimes on the most intimate of subjects.” Audrey also said, “He just had a way about him that made you feel at home. He didn’t show morbid curiosity but showed genuine interest and concern in anything you said. It was funny, on the stage he could be very eloquent, especially when he prayed, but in personal interviews he would talk as plain as could be. He was very quiet, frank, simple, direct, and had the air about him of a child. He had a calm face. You always sensed a great vitality and energy emanating from him.” The following link contains excerpts from an interview with Audrey Patton in 1993, on the anniversary or the birth of her Guru, where she recalls her meetings with the Master. Through his classes and personal interviews Yoganandaji powerfully affected the lives of local devotees, and many were miraculously healed of ailments. Numerous testimonials from the local devotees were published in the East-West Magazine. Following are a few examples of these testimonials from Minneapolis students. 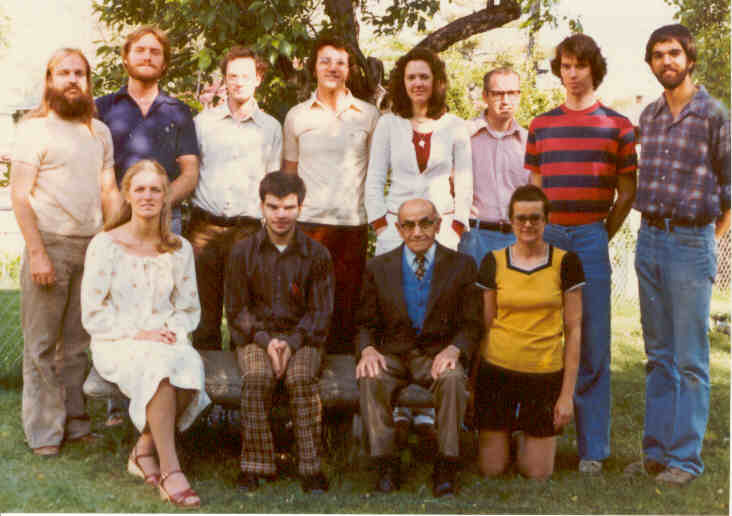 Dr. Aaron Friedell, a physician and surgeon who attended Minneapolis Meditation Group services in the 1970-80s (he is seated second from the right in the front row of this picture taken circa 1978), said, “When I heard Yogoda lesson 4 from Swami Yogananda, presented so admirably and so thoroughly scientifically, I was completely taken off my feet with admiration. To that admiration was gradually added, love and keen devotion. Yogoda is an excellent method for self-development. I heartily approve of it.” Mrs. A.E. Exton said, “I am most thankful for a healing of my eyes. I have worn glasses for eighteen years. A prominent Minneapolis eye specialist said I would have to wear them all my life. 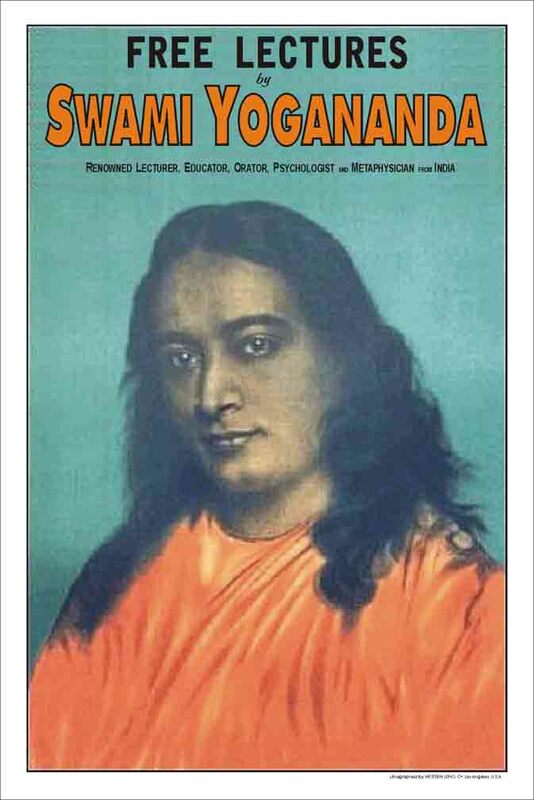 Imagine my great joy when I removed my glasses at Swami Yogananda’s healing meeting, at which my eyesight was completely restored… Only those have tasted can know the richness of Yogoda.” Baroness Theloma Goldeska exclaimed, “My body has been energized, my mind made peaceful. My outlook on life is clearer and I have acquired an understanding of spiritual truths and how to make them practical in my everyday life.” Mrs. R.L. Race of Robbinsdale stated, “Through Yogoda I have recovered almost entirely from nervousness; my eyesight is better, and I am now able to have the use of my right ear for the first time in three years.” “At the healing meeting, to my great joy and surprise,” John P. Weiss said, “I was cured of my tobacco habit completely and without any effort on my part. I have always been a very heavy user of tobacco and cigars.” It is possible that the healing meeting referred to by several of these students was on September 25, 1927 which was advertised at the bottom of this Minneapolis Daily Star Newspaper article. In November Swami Yogananda’s students organized themselves into a Yogoda Center and met initially at the Hotel Radisson. 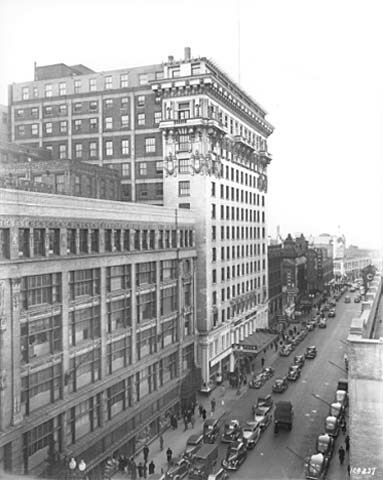 The Center was under the leadership of Mr. Stanley S. Staring, a leading Minneapolis realtor and a member of the advertising committee of the National Association of Real Estate Boards. The first meeting had 600 students present! 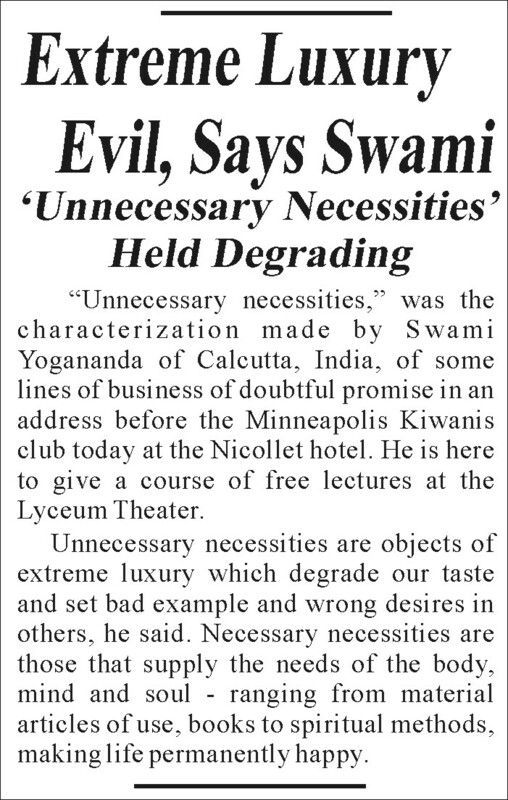 Thanks were extended by Swami Yogananda to the Minneapolis “Lake District Advocate” and to its Club Correspondent, Mr. D.R. Morrisey, for their kindness and cooperation in spreading the Yogoda message in Minneapolis. Sometime during his stay in Minnesota during 1927, Paramahansaji traveled to Forest Lake, about 20 miles north of Minneapolis and St. Paul. 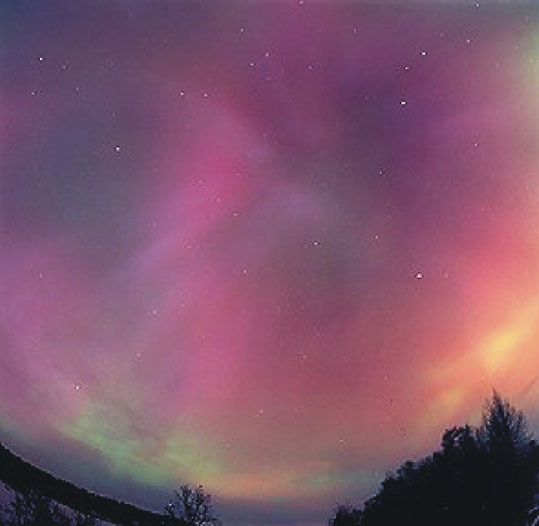 While observing the phenomenon of the northern lights, or aurora borealis, Paramahansaji experienced a corresponding inner vision. In his poetic rendering entitled “To the Aurora Borealis” he makes a comparison between his external perception of the beauty of the aurora and the glory and expansion of his internal state of samadhi, or God-consciousness. 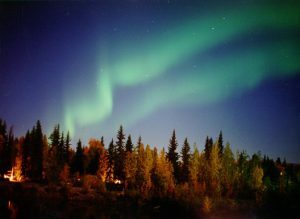 A copy of the poem, published in his book of poems Songs of the Soul, is included through this link. 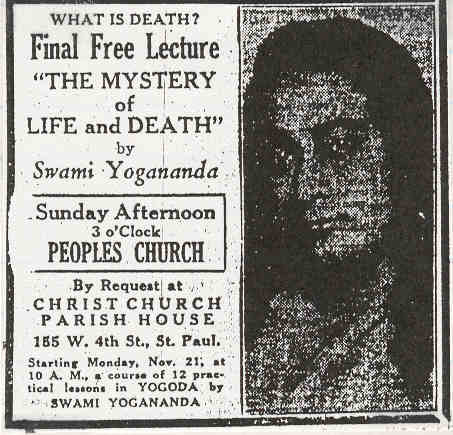 On November 6, 1927 Swami Yogananda began a series of at least 9 lectures in St. Paul. The residents of St. Paulwere also ready for the message of the Masters of India. 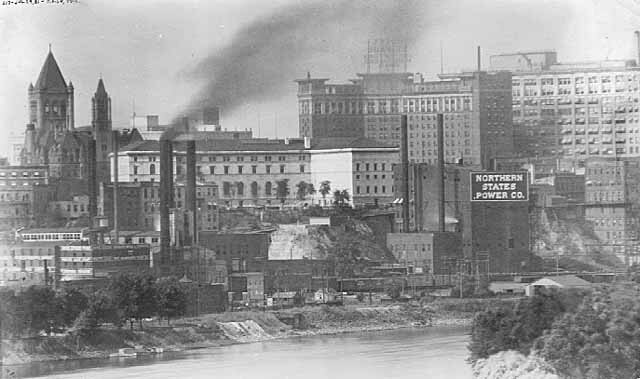 Here is a picture of how downtown St. Paul looked from Harriet Island when Yoganandaji lectured here. Most of the free lectures were given at the Peoples Church at Pleasant and Chestnut Streets. 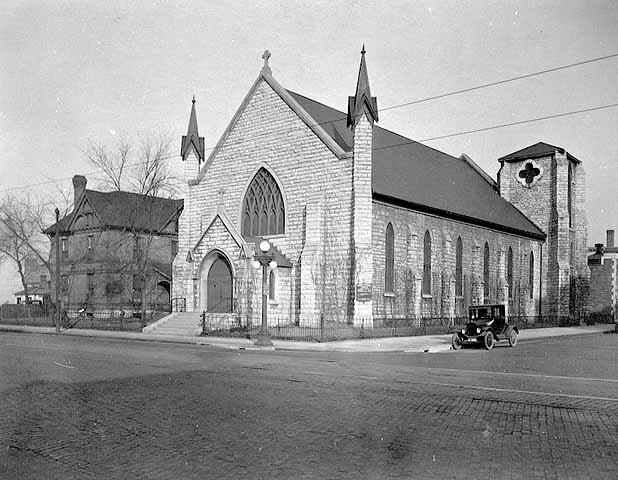 It was a beautiful building that was located just northeast of present day United Hospital. It was torn down many years ago to make way for the Hospital as well as Interstate Highway 35E. Here is a picture of the stage inside the Peoples Church where Yoganandaji gave his lectures. Yoganandaji also gave one lecture at the Garrick Theater at 34 West 6th Street on November 10th. 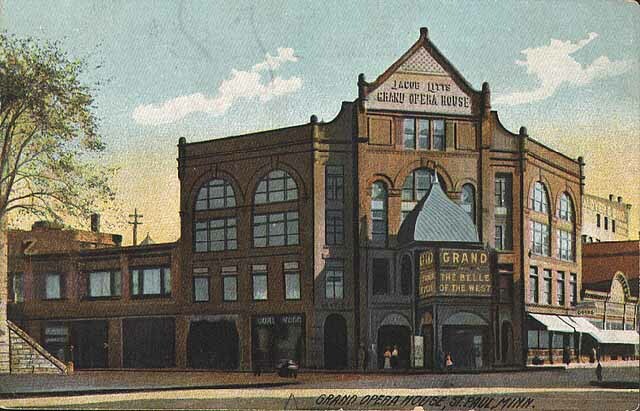 This theater has since been converted into offices and shops but still stands to this day. 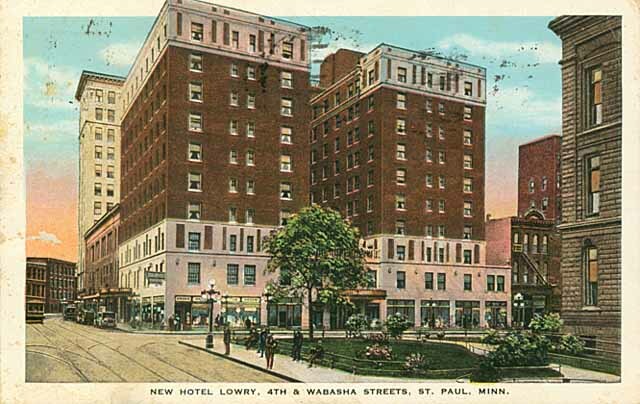 While giving his series of lectures and classes he stayed at the Lowry Hotel at 4th and Wabasha. It was while staying here that Yoganandaji wrote a letter on November 14th to his beloved disciple Dr. M.W. Lewis of Arlington, Massachusetts. 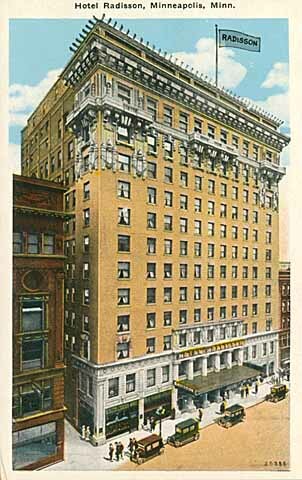 This hotel stands to this day. Following his last lecture in St. Paul on November 20, 1927 Yoganandaji gave a course of 12 practical lessons in Yogoda beginning Monday November 21st. The classes were provided at the Christ Church Parish House at 155 W. 4th Street, where the St. Paul Xcel Center currently is located. Here is a picture taken of Yoganandaji on November 28th with more than 200 of his St. Paul students in one of these classes. 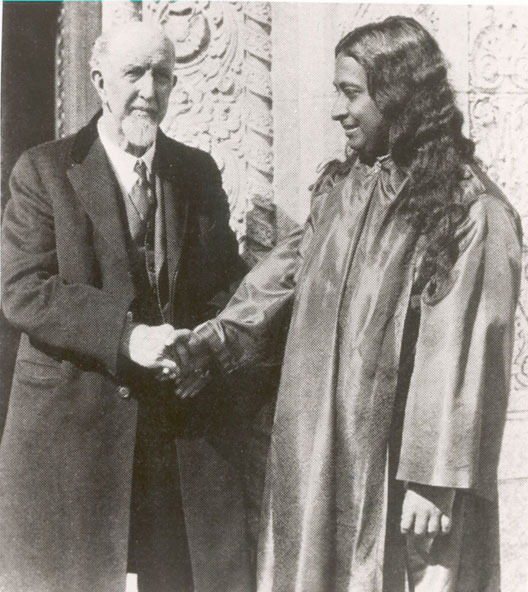 Among the first to extend their cordial greetings to Swami Yogananda after his arrival in St. Paul in 1927, and to wish the Yogoda message success in Minnesota, were the Governor of Minnesota, Theodore Christianson, and Lieutenant Governor Nolan. 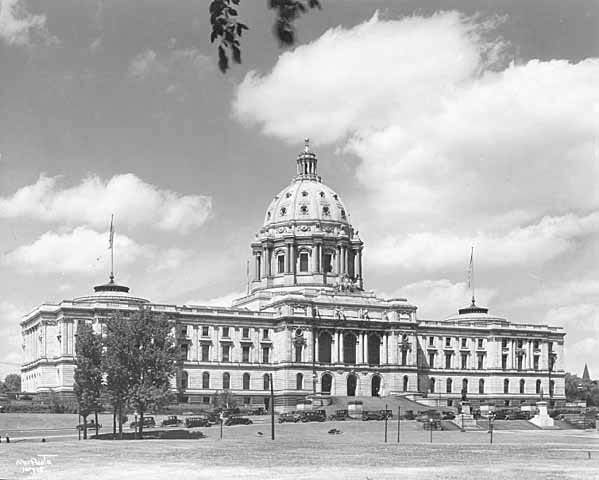 Governor Christianson received Swami Yogananda in his private executive offices in the State Capitol building shown here in a 1925 picture. At the interview, which lasted an hour, the Governor showed great interest in the message of Yogoda. 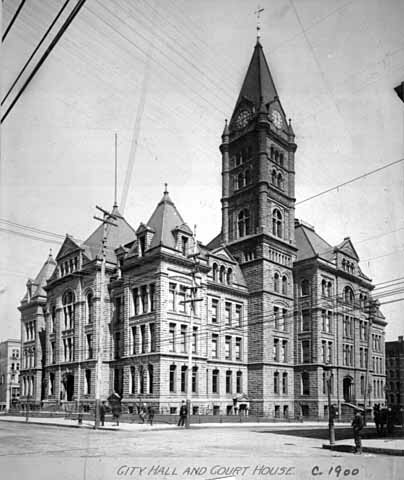 St. Paul Mayor Hodgson also had a long interview with Yoganandaji at the St. Paul City Hall seen here. 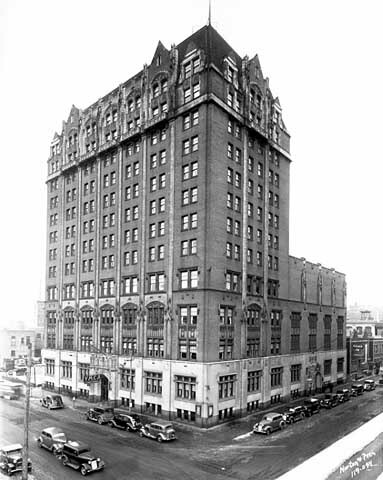 This building is now known as the Landmark Center. 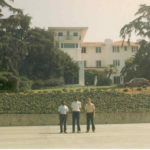 At this long interview, as well as his interview with Lieutenant Governor Nolan, Yoganandaji described the aims and principles of Yogoda and its educational accomplishments. 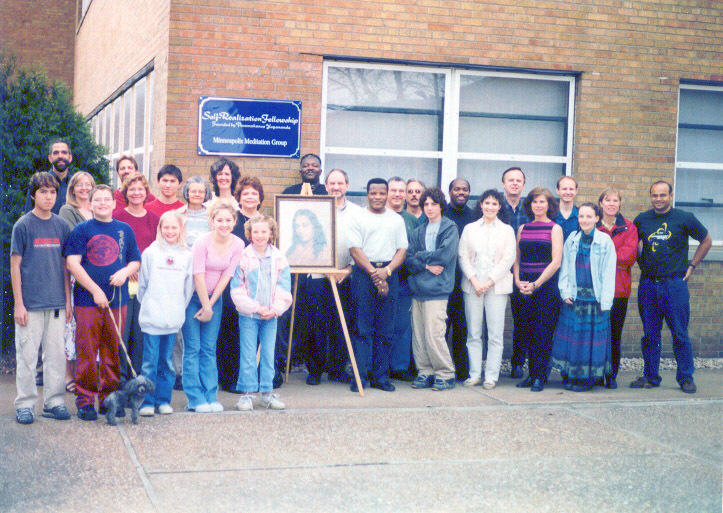 During his stay in St. Paul Yoganandaji spoke before many different clubs and groups. 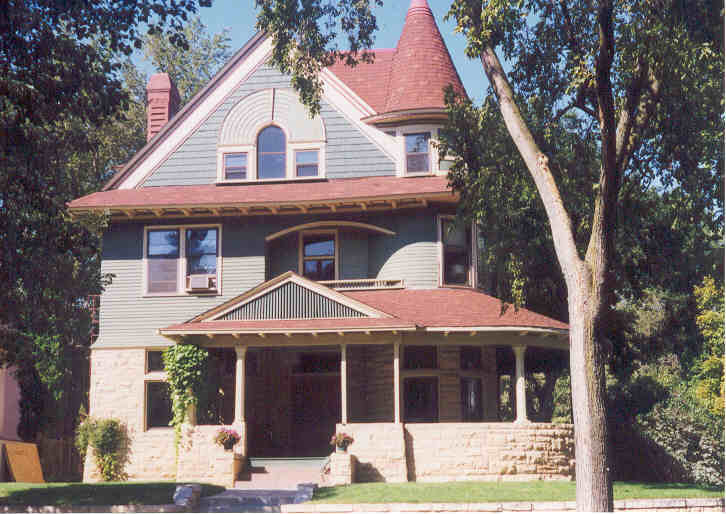 On November 7th he spoke to the Ladies of the Round Table and on the 8th to the Minneapolis Theosophical Society. On the 9th he told members of the Conopus Club at the St. Paul Athletic Club that he has “developed his will power to such an extent that he can easily work 23 hours a day without sleep or food.” In an article that appeared in the St. Paul Pioneer Press the next day he was quoted as saying, “The spiritual thoughts of India are needed in this country. 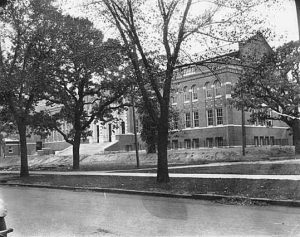 My country concentrates on the inner development of man while yours emphasizes elemental man.” Sometime during his 1927 stay in Minnesota he addressed students in a “Chapel Meeting” in the Student Union at Macalester College on Grand and Snelling Avenues. 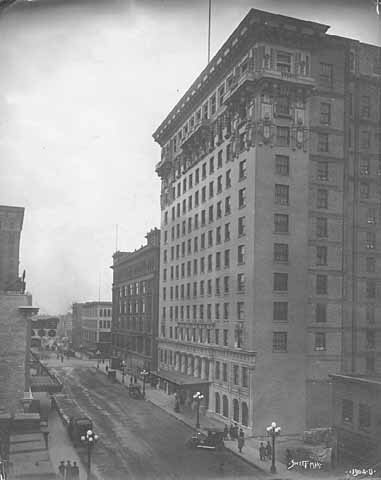 This building was torn down in 2001. 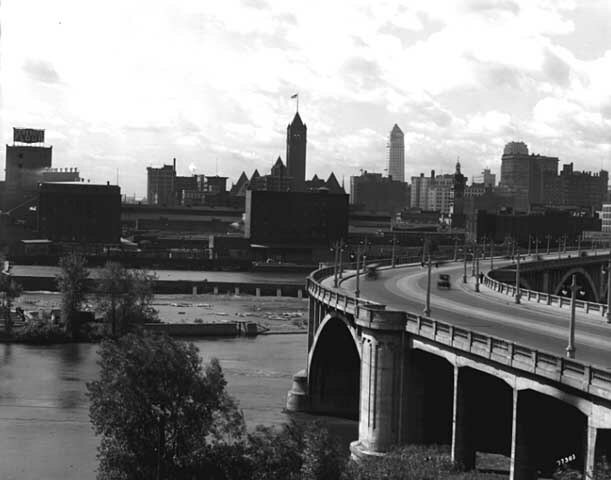 Other clubs he spoke to during his first week in St. Paul included the Lions Club, Transportation Club, Kiwanis’ Club, and the Cosmopolitan Club. 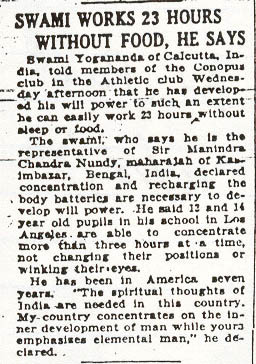 Swami Yogananda left Minnesota on about December 5th. Shortly thereafter his St. Paul students organized themselves into the Yogoda Sat-Sanga St. Paul Center under the leadership of Mr. George A. Young, with Mr. M.R. Keith as president. 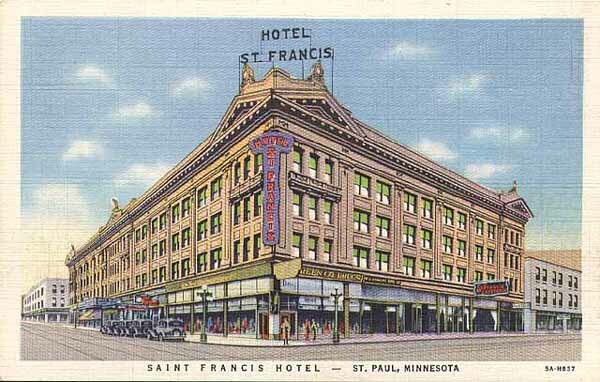 The first meeting of the new Center was held on December 13th at the St. Francis Hotel. 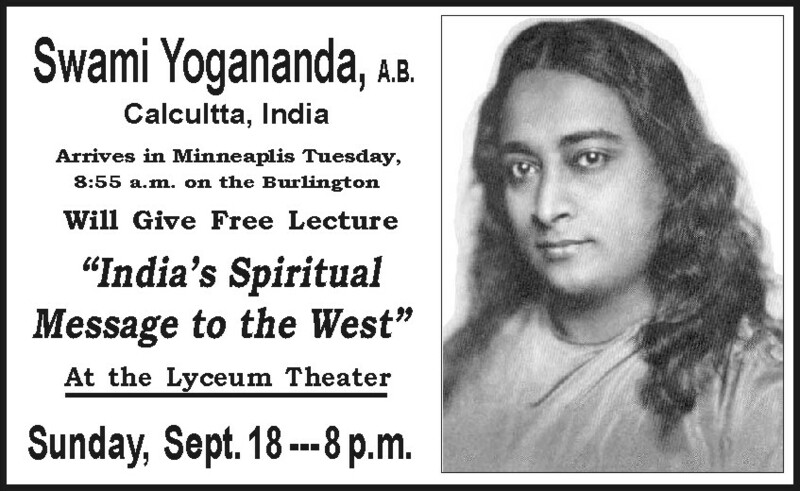 Swami Yogananda visited Minnesota on at least three other occasions after 1927. 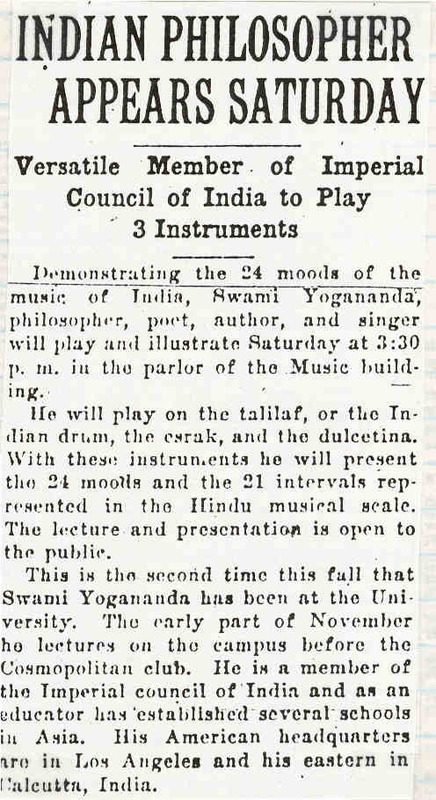 On October 26, 1929 Yoganandaji gave a lecture on “Visions of India” and showed unique motion pictures of India at the Lowry Hotel in St. Paul. 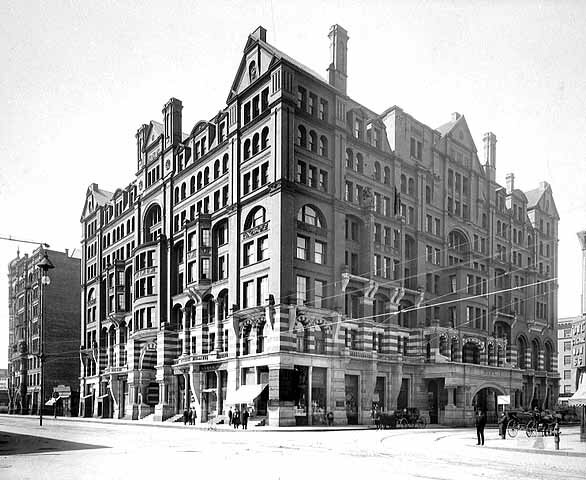 The next day he gave the same lecture at the Radisson Hotel in Minneapolis. Yoganandaji also showed local students the motion pictures he took during his 1929 summer visit to Mexico. 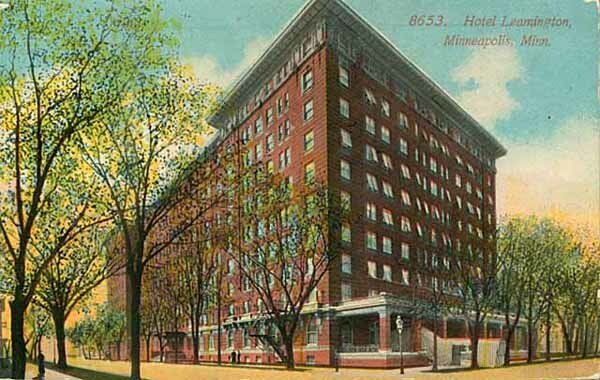 Sometime in 1930 Yoganandaji traveled again to Minnesota and stayed at the West Hotel in Minneapolis. Audrey Patton stated that he gave the local students advanced Yogoda (or Kriya) lessons during his visit and also gave Kriya initiation to many devotees in the West Hotel. 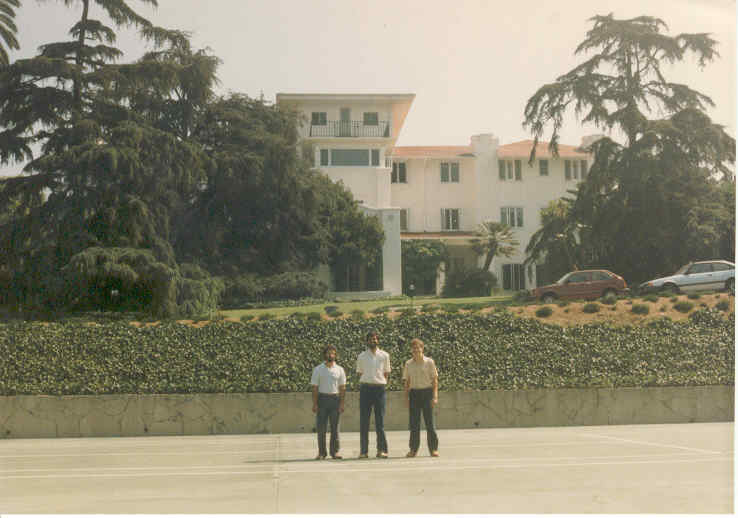 Audrey thought that this visit of Yoganandaji’s was in the fall or winter of 1930. 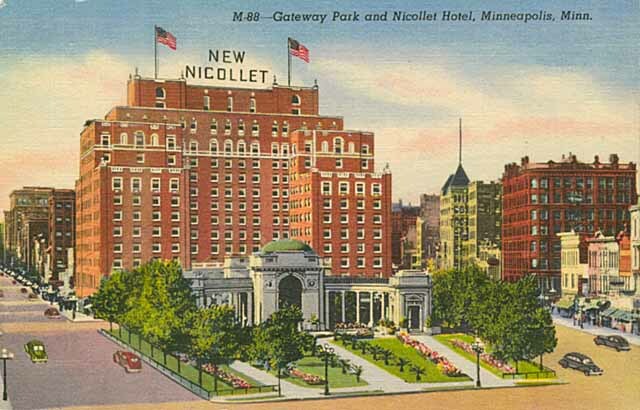 He wrote a letter to Dr. Lewis during this visit in Minneapolis and in his first sentence said, “Having a great time here.” Audrey Patton also recalled that Yoganandaji came to Minneapolis in 1932 or 1933. He gave one or more classes, along with a Yogi who demonstrated Yogic powers. 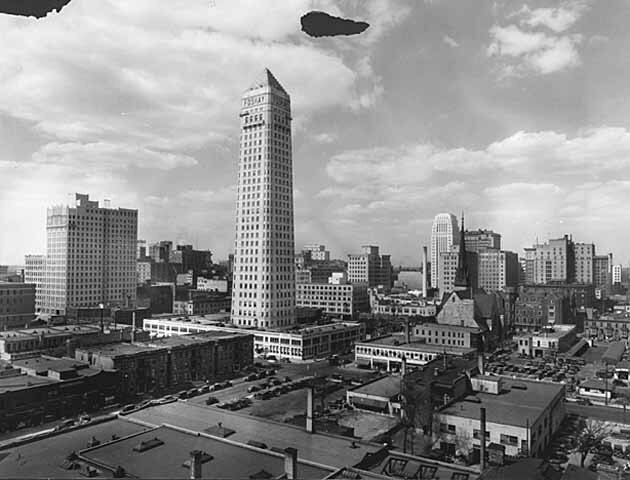 Information used to construct this historical web site was largely obtained from information in the early Self-Realization (East-West) magazines and local newspapers, most notably the Minneapolis Daily Star. We would like to give special thanks to monastics at the Self-Realization Fellowship Mother Center for their devoted assistance in providing us with copies of the articles in East-West magazine articles and other information pertaining to Swami Yogananda’s visits to Minnesota. The inspiring remembrances of Mr. M.R. Keith entitled “How I Found Out About Heaven” was originally published in the Winter 1992 issue of the Self-Realization magazine and earlier by Palmer Publishing. Excerpts from this story were retold here with the permission of Palmer Publishing Inc.